Chicago’s Akvavit Theatre is pleased to present the U.S. premiere of Finnish playwright Okko Leo’s dark comedy THE ORCHESTRA directed by Brad Akin, playing December 9, 2015 – January 10, 2016 at Rivendell Theatre, 5779 N. Ridge Ave. in Chicago. Tickets go on sale Monday, October 19 at www.akvavittheatre.org. THE ORCHESTRA will feature Bergen Anderson*, Steve Herson, Josiah Kumpost, Jim Poole and Tony St. Clair. 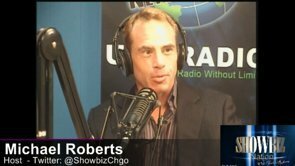 Additional casting to be announced. THE ORCHESTRA follows a group of has-been rockers who’ve been playing weddings for peanuts. But when a band-mates famous sister visits them at a gig – they see an opportunity for one fimnal push for fame. It’s “Fargo meets This Is Spinal Tap” in a performance that has all of Finland abuzz – and that’s saying something in a land where extroverted Finns look at your shoes when they talk! Cast: Bergen Anderson* (Simone), Steve Herson (Rane), Josiah Kumpost (Timi), Jim Poole (Jase) and Tony St. Clair (Halla). Additional casting to be announced. Dates: Previews: Wednesday, December 9 at 7:30 pm and Thursday, December 10 at 7:30 pm. Curtain Times: Thursdays, Fridays and Saturdays at 7:30 pm; Sundays at 3 pm. Please note: there will not be performances on Thursday, December 24 (Christmas Eve) and Friday, December 25(Christmas Day). Tickets: Previews: $10. Regular Run: $20. Students/seniors $15. Tickets go on sale Monday, October 19 at www.akvavittheatre.org. *Denotes Akvavit Theatre company members. Okko Leo is a Helsinki-based playwright and dramaturg who graduated from the Finnish Theatre Academy in 2011. He has written for both stage and radio, and his plays have been performed in many of Finland’s best-known professional theatres including the Finnish National Theatre and KOM Theatre in Helsinki, as well as in theatres abroad. Leo’s plays often explore themes of communication, language, identity and social structures. Brad Akin is a Chicago-based director and educator. An ensemble member at Steep Theatre Company since 2005, Brad has directed several productions with his artistic family including the Chicago premieres of Linda McLean’s strangers, babies; David Eldridge’s Under the Blue Sky; Stephen Adly Guirgis’s The Last Days of Judas Iscariot and Emily Mann’s Greensboro: A Requiem. Outside his Steep home, Brad directed the Chicago premieres of Lucy Thurber’s Where We’re Born and Bekah Brunstetter’s OOHRAH! (with LiveWire Chicago) at Steppenwolf’s Garage Theatre. Other companies Brad has had the pleasure of directing plays, readings and workshops for include WildClaw, The Poor Theatre, Sideshow, Dog & Pony, 2nd Story, Pivot Arts and Bowen Park Theatre. Every summer, Brad has the great privilege of challenging the best and the brightest high school seniors of North Carolina as the theatre instructor for the NC Governor’s School. 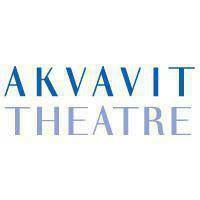 Akvavit Theatre is a new voice in the Chicago theatre scene. Taking as our inspiration the striking landscapes of the five Nordic countries—harnessing the force of the glacier, in its powerful seeming stillness, the volcano, in its sudden white-hot eruption, and the arctic silence in between—we strive to find the universal through the voices of the Nordic world. This is our contribution to the American mosaic. And like our namesake drink, Akvavit brings a “strong spirit” to the plays, workshops and events that we produce. Skål, Skál, Kippis! For additional information, visit www.akvavittheatre.org.